A gap has opened up between deposit interest rates offered by different categories of banks due to differences in their liquidity, cash demand and status. Small- and medium-sized banks have hiked their interest rates. Sai Gon Commercial Bank has increased its rates for six-month deposits to 7.65 per cent for customers aged under 40 and 7.7 per cent for older ones. Viet Capital Bank, GPBank, Bac A Bank, NCB, and DongA Bank have raised their six- month rate to 7 per cent or above. But at large State-owned banks like BIDV, VietinBank and Vietcombank, they remain at 5.1-5.3 per cent. Mid-sized lenders offer 6.8 per cent. The difference in rates between small and large lenders is 2-2.6 points for six-month deposits. Analysts have attributed this to differences in liquidity, cash demand and health of banks. According to the National Financial Supervisory Committee (NFSC), liquidity is abundant at strong banks. Analysts warned depositors to be careful and select a trustworthy bank to deposit their money since the National Assembly has passed a law for declaring troubled banks bankrupt through an amendment to a law on the operation of credit organisations, which takes effect this year. As a result, large, State-owned banks find it easy to get deposits while smaller ones are struggling. But the analysts also admitted that the possibility of bankruptcy is extremely low in the next few years. Truong Thanh Duc, chairman of Basico Law Company, said the State Bank of Viet Nam (SBV) should publicise information about the operations of banks for the benefit of depositors. It is important to control credit growth to reasonable levels and focus on priority areas, he said. In 2017, many lenders achieved large profits due to strong credit growth. 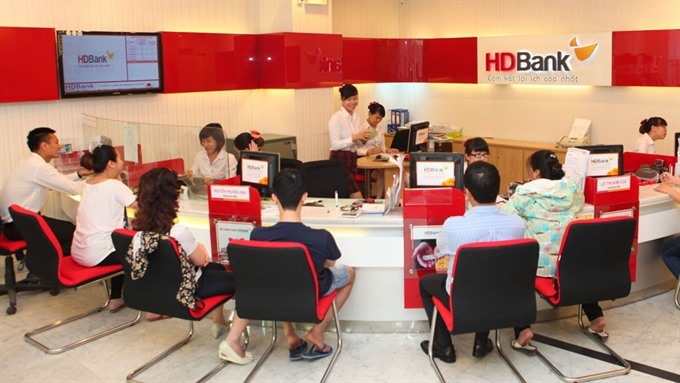 This year, the State Bank of Viet Nam has set a credit growth target of 17 per cent, but many banks expect that to be hiked after the first half of the year. At a recent conference, SBV’s deputy governor Dao Minh Tu said the central bank had warned 15 lenders for increasing credit to non-priority sectors.